Michel Paradis, a lawyer for a terror suspect who was tortured under Trump pick to lead the CIA, Gina Haspel, joins Ari Melber ahead of her Senate confirmation hearing. 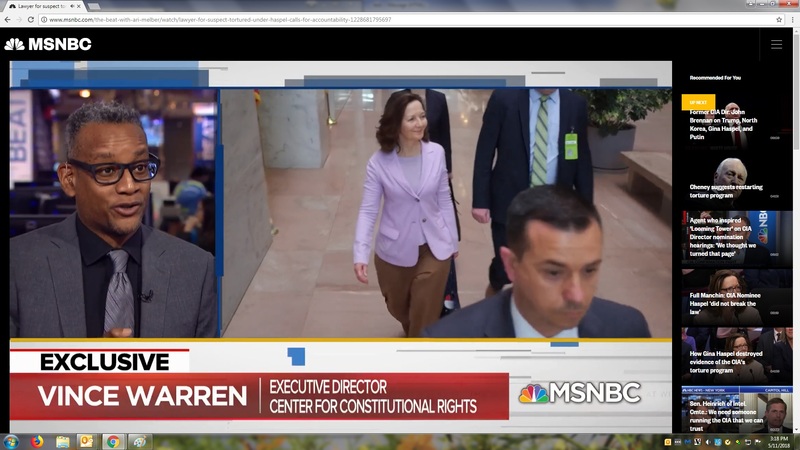 Director of the Center for Constitutional Rights Vince Warren, says confirming Haspel would undermine "the basis of morality in this country”. Can't see the video? Watch it on MSNBC.com.